Every aircraft in Aegean's fleet is equipped with the latest and the most sophisticated safety systems. Aegean was highlighted as the most reliable regional airline in Europe for 2012! For Aegean Airlines, the respect for the environment constitutes a non-negotiable priority for them. Aegean Airlines make constant upgrades in order to reduce noise emissions, and fuel consumption. This airline was awarded the ''Regional Airline of the Year'' in 2014 at the Air Transport News Awards, and is one of the fastest-growing airline amongst 10 companies in Eastern Europe! Aegean Airlines originated in 1999 as a full-service, premium quality, short- and medium-haul service airline. Their mission is to minimize distances, bringing you closer to those you love, what you desire, and what you want to discover. Acting responsibly when it comes to developing the market, developing employees, and supporting their partners and local communities is Aegean Airlines’ vision and it is how they operate. With their pioneering services and simplified procedures as their goal, Aegean Airlines continues to innovate and invest in the superiority of their product. They were also awarded with 6 Skytrax awards for ''The Best Regional Airline in Europe''. Book Aegean Airlines flights to Amsterdam, Athens, Kiev and other exciting places! 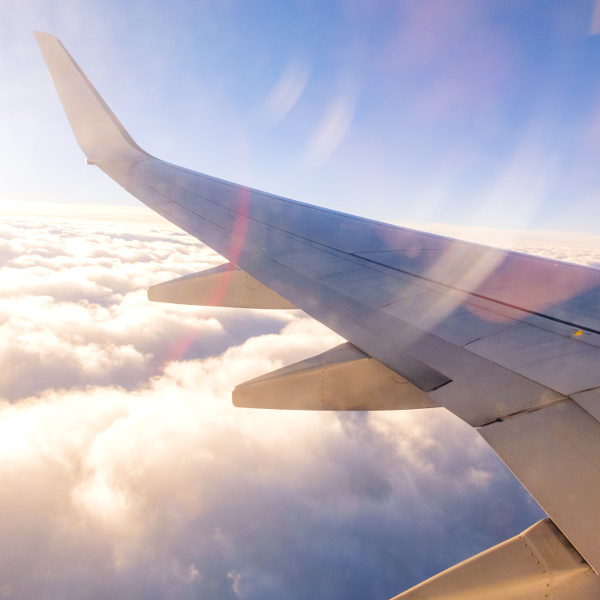 The number of bags, charges, and allowable dimensions can vary dependent on your flight, the fare and class in which you are travelling. For this reason, passengers are advised to check the specific baggage information either on the Aegean Airlines website or with your booking agent before every flight. Passengers are allowed 1 piece of hand luggage (8kg). Infants (0-2 years old) are allowed 1 piece of hand luggage, and 1 collapsible stroller. Passengers are allowed 1 piece of hand luggage (8kg), as well as 1 checked bag (23kg). Infants (0-2 years) are allowed 1 piece of hand baggage with the necessary baby equipment for the journey, one piece of baggage (23kg) and 1 collapse/ fold-up stroller. Passengers are allowed 2 pieces of luggage, each piece weighing 32kg. Infants (0-2 years) are allowed 1 piece of hand baggage with the necessary baby equipment for the journey, one piece of baggage (23kg) and 1 collapse/ fold-up stroller. These passengers are allowed to have 1 piece of luggage (32/23kg, depending on booked fare). There are various options made available to passengers. For your convenience these consist of: web check-in, mobile check-in, self check-in kiosks, and check-in counters at the airport. All online check-in options are available 48 hours to 30 minutes prior to the scheduled time of departures. Self check-in at the airport allows you to check in between 24 hours to 30 minutes before the flight scheduled departure times using the Self Service Kiosks. Passengers are required to board their flights 20 minutes before scheduled flight departure. This option is for those who are travelling for one or a few days. Your ticket will not be refundable in case of cancellation. With this option you are able to travel with more flexibility, as you can change your ticket as many times as you want without paying a rebooking fee. This is catered to those who are looking for more comfort and added quality services, selective to Business Class passengers only. Aegean Airline is constantly investing in order to strengthen their international presence, as well as supporting Greek tourism both in Athens and within regional airports. 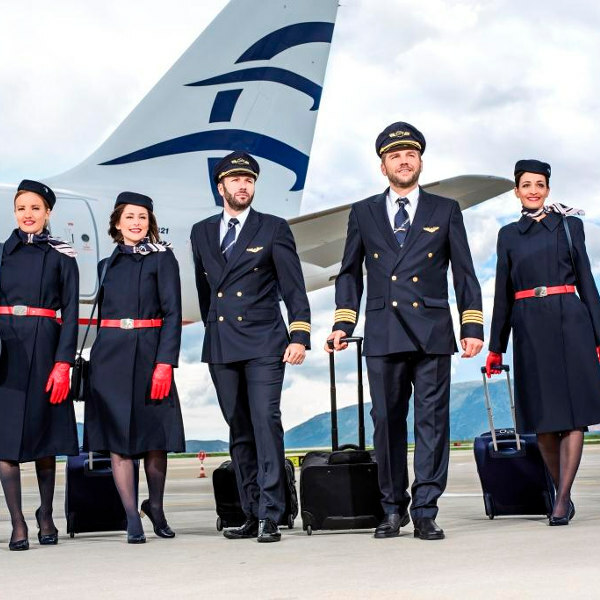 Aegean Airlines travels to 145 destinations.